The visitor entering the church of San Valentino di Castellarano in central Italy will notice the tomb of an adolescent who died at the age of 14. The tomb is inscribed: Io sono di Gesù “I belong to Jesus”, a phrase that Rolando Rivi repeated time and again. This unconditional belonging to Jesus Christ, confirmed by his bloody death, is a forceful response to the ideologies of the twentieth century, which were claiming that man belonged to his race or the State. It is also a Christian response to the mentality according to which man has no master but himself and his desires. Rolando was born on January 7, 1931 in San Valentino, in the diocese of Reggio-Emilia, into a large farming family, which was united and sustained by a lively Christian faith. His father, Roberto, consecrated the child on the day of his baptism to Our Lady of Mount Carmel. Rolando learned devotion to the rosary from his grandmother. In elementary school, he was entrusted to the teacher Clotilde Selmi, a fervent Christian who drew her strength from daily Communion. One year, at Christmas time, the child brought to the crèche a small sack and said in a loud voice, “O good Jesus here are my sins—there are a hundred of them, I counted them. But I promise you that another year, I will bring You a sack of virtues!” Rolando made his First Communion on June 16, 1938. He would be described by his friends as a boy full of vitality, enthusiastic, passionate in games, the fastest runner, but also the most dedicated to prayer. Intelligent, graced with a natural influence, he was a “leader” who could organize games, but when playtime was over, lead his friends to the church. He taught them to say the rosary, encouraged them to serve the Mass with him, and taught them fraternal charity: “If you love the Lord, then love everyone.” For Rolando, charity toward the poor was inseparable from love of God. When a poor man knocked on the door at home, he was the first to greet him, bringing him bread and blankets. The Catechism of the Catholic Church teaches, “[T]he sacrament of Reconciliation with God brings about a true ‘spiritual resurrection,’ restoration of the dignity and blessings of the life of the children of God, of which the most precious is friendship with God” (CCC, 1468). In September 1939, war was declared. Two of Rolando’s uncles were called up and would be killed on the front. Confirmed in 1940, the child wanted, in his own words, to become “a perfect Christian and a soldier for Jesus Christ”. In spring of 1942, he announced to his parish priest his firm decision to become a priest. Encouraged by Don Olinto, he spoke about it to his parents, who joyfully gave their approval. In October 1942, at the age of eleven and a half, Rolando entered his diocese’s minor seminary in Marola. On this occasion, he donned the cassock, as was the custom of the day. Today we might be surprised at such a premature gesture. Putting on the cassock did not constitute a definitive commitment, which would be made later in complete freedom. But for a child as mature as Rolando, wearing the cassock already meant being consecrated to God forever. At the seminary, the day followed an intense rhythm of pious exercises and classes, balanced with periods of recreation. Rolando, who was not the last to take advantage of recreation time—more than once, his beloved cassock would come out of recreation frayed enthusiastically accepted this austere regime, which many of his friends found difficult to endure. He read many accounts of missionaries, and was particularly fascinated by the example, very recent at that time, of Blessed Miguel Pro, a Mexican Jesuit shot in 1928 by order of an anti-Christian government. The young man hoped to leave for distant missions to evangelize those who had not yet heard of the Lord Jesus . He would con fide this hope of becoming a missionary to the vicar of San Valentino, Don Camellini, in 1944. For the time being, Rolando, along with the other seminarians, joined with all his heart in Pope Pius XII’s consecration of the world to the Immaculate Heart of Mary , on December 8, 1942, in response to Our Lady of Fatima’s request. In a speech given in Aparecida, Brazil,on May 13, 2007, Pope Benedict XVI gave some reflections which help us better understand the passionate love that many young people have for Jesus: “What does Christ actually give us? Why do we want to be disciples of Christ? The answer is: because, in communion with Him, we hope to find life, the true life that is worthy of the name, and that is why we want to make Him known to others, to communicate to them the gift that we have found in Him. But is it really so? Are we really convinced that Christ is the way, the truth and the life? In 1943, following the Anglo-American landing in Sicily, Il Duce, Benito Mussolini,was removed from office, and the Italian government signed an armistice with the Allies. This denunciation of the Rome-Berlin axis provoked the occupation of a large portion of the peninsula by the German army. Emilia-Romagna in particular became the theater for dramatic confrontations between German troops and resistance members, who were called ‘partisans’. 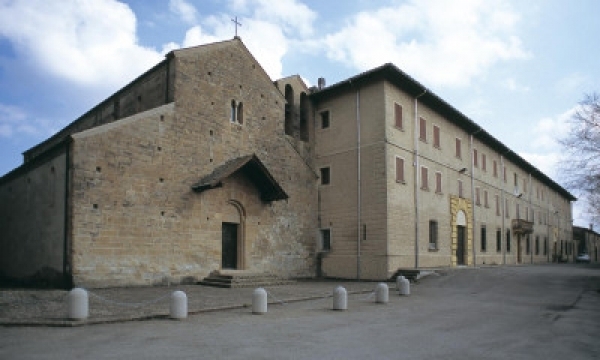 On June 22, 1944, a company of German soldiers searched the seminary in Marola, which had been accused of being a hideout for partisans, and seized from the cathedral in Reggio sacred vessels that had been put there for safe keeping in case of possible bombardment. The gravity of the circumstances forced the superiors of the seminary to close the establishment until better days. At seminary, Rolando had heard about the encyclical Divini Redemptoris on Communist atheism, published by Pope Pius XI on March 19, 1937, along with another encyclical on National Socialism. The Pope wrote, “Where Communism has been able to assert its power … it has striven by every possible means … to destroy Christian civilization and the Christian religion by banishing every remembrance of them from the hearts of men, especially of the young. Bishops and priests were exiled, condemned to forced labor, shot and done to death in inhuman fashion; laymen suspected of defending their religion were vexed, persecuted, dragged off to trial and thrown into prison” (no. 19). Rolando was aware of the anti-religious violence that was intrinsic to Communism; he knew that the partisans were powerful in his area. Nevertheless, he would not consent totaking off his cassock, as his family advised him to do, and as other seminarians in the area had done. “I am not hurting anyone,” he said. “I do not see why I should take off my cassock, which is the sign of my consecration to Jesus.” The boy exerted a decisive influence on the minor seminarians who had returned to San Valentino. He encouraged them to study Latin as he did, thanks to private lessons given by a schoolteacher. With his maturity, the boy gave the impression of being the leader of the Catholic youth in the town. He had no intention at all of yielding to intimidation. This would disappoint the young Catholics who, following his example, intended to stand up to the Communist contagion. 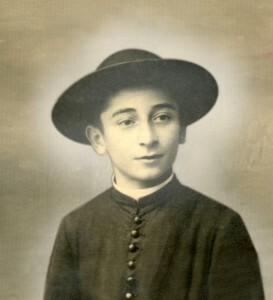 On April 10, 1945, during Easter week, Rolando assisted at Holy Mass in San Valentino. When he returned home, he withdrew to a small wood, to a spot where he often went to study in complete peace. When he hadn’t returned home at lunchtime, his father went looking for him. But instead of finding his son, Roberto saw his schoolbooks scattered on the ground. On a page torn from one of his notebooks, he read, “Don’t look for him. He is spending some time with us. The partisans.” Fearful of putting their son’s life in danger, Rolando’s parents waited 24 hours before letting the authorities know of his disappearance, which allowed the kidnappers to get away, as they had anticipated. In the encyclical , Pius XI had explained on the complete absence of scruples that had been observed often among the Communist militants: “But tear the very idea of God from the hearts of men, and they are necessarily urged by their passions to the most atrocious barbarity. This, unfortunately, is what we now behold. For the first time in history we are witnessing a struggle, cold-blooded in purpose and mapped out to the least detail, between man and ‘all that is called God.’ Communism is by its nature anti-religious. It considers religion as ‘the opiate of the people’ because the principles of religion which speak of a life beyond the grave dissuade the proletariat from the dream of a Soviet paradise which is of this world” (nos. 21-22). In the encyclical Centesimus annus (May 1, 1991), Blessed John Paul II shows where modern totalitarianism, of which Communism has been the most murderous form, is rooted: “Totalitarianism arises out of a denial of truth in the objective sense. If there is no transcendent truth … then there is no sure principle for guaranteeing just relations between people. Their self-interest as a class, group or nation would inevitably set them in opposition to one another. … Thus, the root of modern totalitarianism is to be found in the denial of the transcendent dignity of the human person who, as the visible image of the invisible God, is therefore by his very nature the subject of rights which no one may violate—no individual, group, class, nation or State” (no.44). The Catechism of the Catholic Church takes up this doctrine: “Only the divinely revealed religion has clearly recognized man’s origin and destiny in God, the Creator and Redeemer. The Church invites political authorities to measure their judgments and decisions against this inspired truth about God and man: ‘Societies not recognizing this vision or rejecting it in the name of their independence from God are brought to seek their criteria and goal in themselves or to borrow them from some ideology. Since they do not admit that one can defend an objective criterion of good and evil, they arrogate to themselves an explicit or implicit totalitarian power over man and his destiny, as history shows’ (cf. John Paul II, Centesimus annus, nos. 45-46)” (no. 2244). 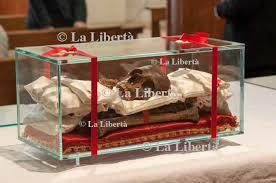 In 1997, Rolando’s mortal remains were transferred to the parish church in San Valentino. On April 4, 2001, an English boy, James, was cured of incurable leukemia after a relic (hair and blood) from Rolando was placed under his pillow, along with a novena of prayers by the patient’s family and friends. This cure, which doctors have declared inexplicable, has been presented to the Holy See in support of Rolando’s beatification. The beatfication could occur soon, if the Church deems it opportune to officially recognize that Rolando was martyred out of hatred of the faith. “If we could believe in Jesus Christ with the swiftness, the spontaneity, the simplicity, and the docility with which Rolando Rivi believed, our faith would become strong like his, and our Church would become strong like the Church that he had in his heart and for which he did not hesitate to die” (Bishop Negri, bishop of Montefeltre). We may ask, through the intercession of Servant of God Rolando Rivi, for the grace to belong to Jesus totally and without compromise—then will we enjoy true freedom, and reign with Christ forever.